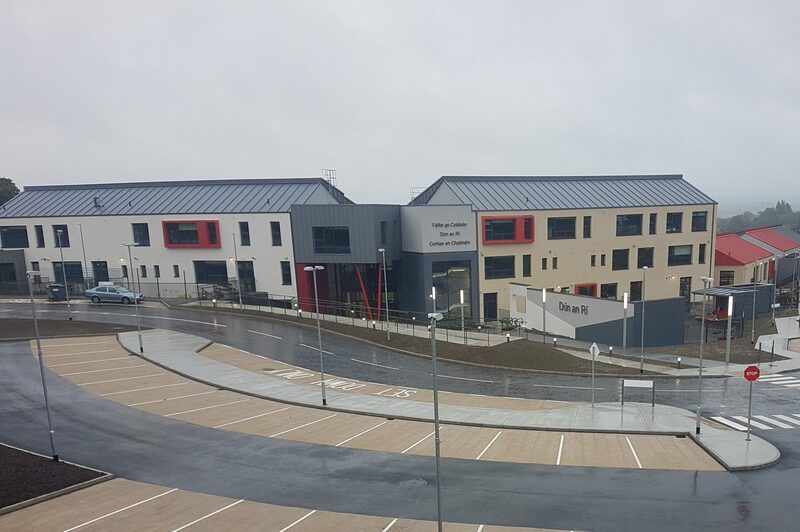 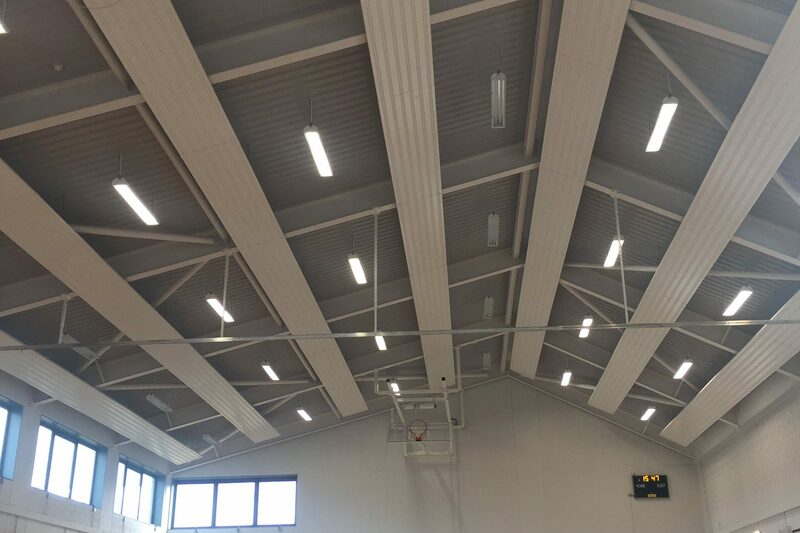 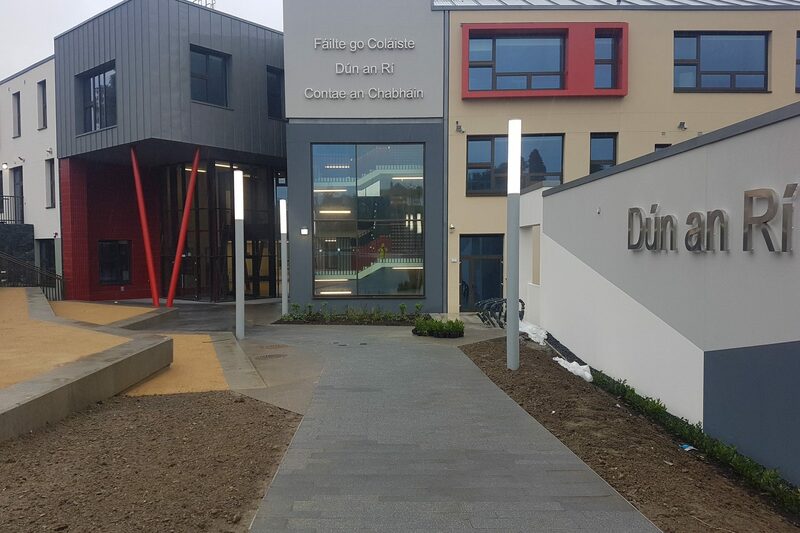 This new multi-storey build, situated on the edge of Kingscourt, provides a 6,237m² post primary school with PE Suite and Special Education Needs Unit. 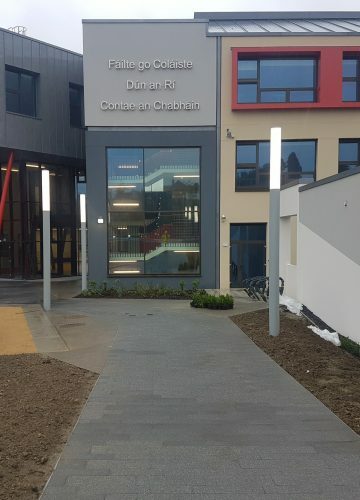 Accommodation includes specialist science laboratories, art and crafts, textiles, music and construction studies spaces with library, social areas, offices and meeting rooms. 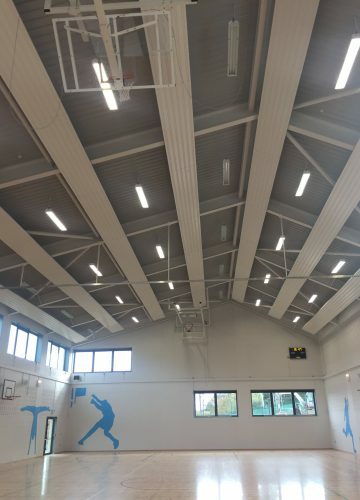 The PE Suite has a large multi-purpose hall with changing suites, fitness suite and equipment store.